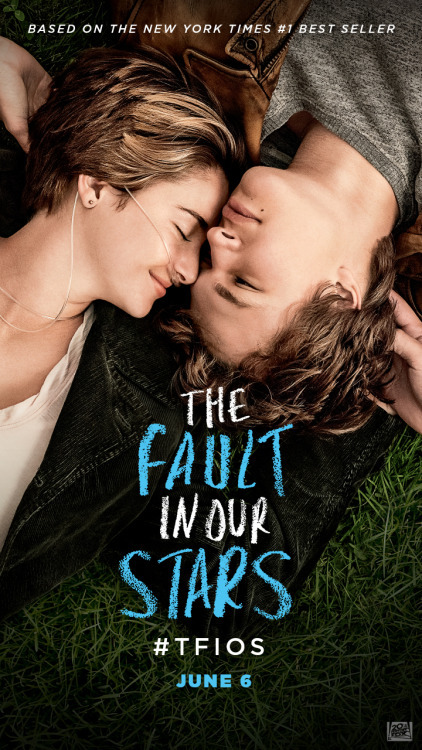 Kemarin gw dan teman-teman menonton film 'The Fault In Our Stars' karena saking penasarannya. Banyak yang bilang dr kalangan temen-temen gw sudah menonton katanya ceritanya sedih (okay spoiler banget. wkwk) Dan ternyata memang.... Karena gw orangnya itu emotional, jadi ada orang yg cuma sedikit nangis tapi kalo gw nangisnya... lumayan banyak. 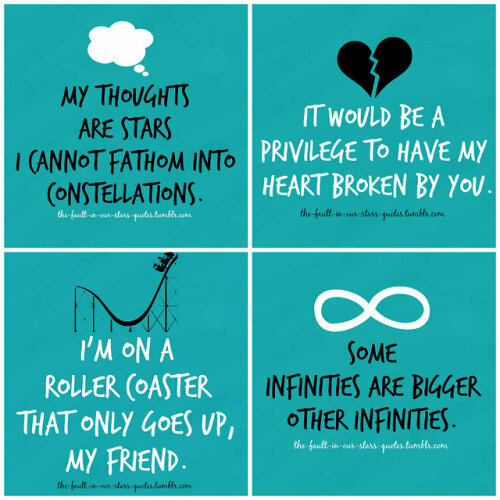 So yesterday me and my friends watch 'The Fault In Our Stars' movie, because we are so curious about whats in the movie. Lots of told, from my friends who already watched it. The story was really sad (my friends are such a spoiler. lol) And it is..... Because i'm an emotional person, i cried so badly. But my other friend who are taking this movie as an average sad movie, is not crying. Pemeran utamanya adalah Shailene Woodley (sebagai Hazel Graze), Dia sudah terkenal di film-filmnya seperti Divergent, American Teenage Life,dll . Ansel Elgort (sebagai Augustus Waters) yang terkenal dengan film-film Carrie, Divergent, dll. The lead actress and actor are, Shailene Woodley (as Hazel Graze) she is known in the movie called Divergent, American Teenage Life, and etc. Ansel Elgort (as Augustus Waters) known with his movie Carrie, Divergent, etc. Kalo anda lagi ingin film romantis, mengharukan. Gw anjurkan film ini. Film ini juga nge-buka mata gw, bahwa kita manusia-manusia yang masih sehat. Harusnya bersyukur dan tidak komplain dengan apa yang kita punya dan apa yang kita kurang. If your looking for a romantic, up-lifting movies. I recommended this. This film is also opened my eyes, that us, healthy human should be grateful and not complaining about what we don't have and what we have.